Yea yea… We could tell you to visit the Opera House, climb atop the Harbour Bridge, visit Bondi Beach… but then you’d spend most of your time with other tourists. 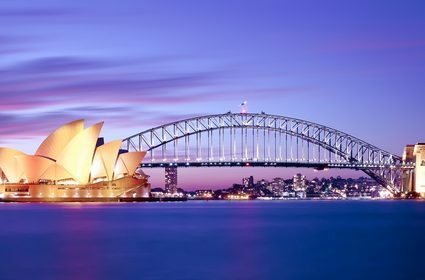 Instead, we’ve put together a list of the best-kept secrets of Sydney, from a local’s perspective. These are places where you’ll meet real Sydneysiders while taking advantage of real Sydney gems. Not surprisingly, most of them involve a short trip out of Sydney. 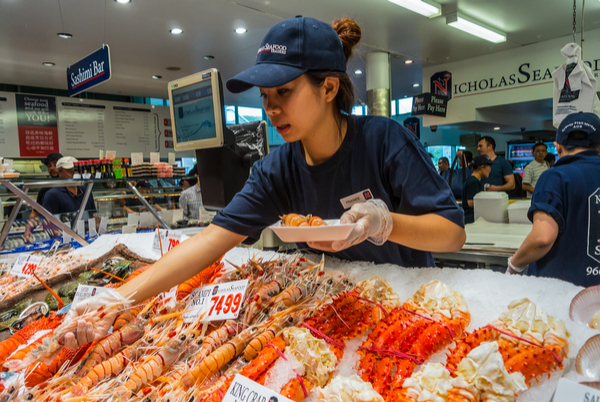 Vendor preparing seafood for a buyer in Famous Sydney Fish Market, Sydney, New South Wales, Australia. The Sydney Fish Market reaches peak activity in the early hours of the morning when fishmongers and fisherman do business to supply fish to Sydney’s sprawling population. It’s great to see this activity in full swing, but it’s even better to stay for the feast. Within the grounds of the fish, markets are lots of seafood restaurants that benefit from access to the freshest fish of the day. You can also take a tour to see behind the scenes of the early-morning auction. 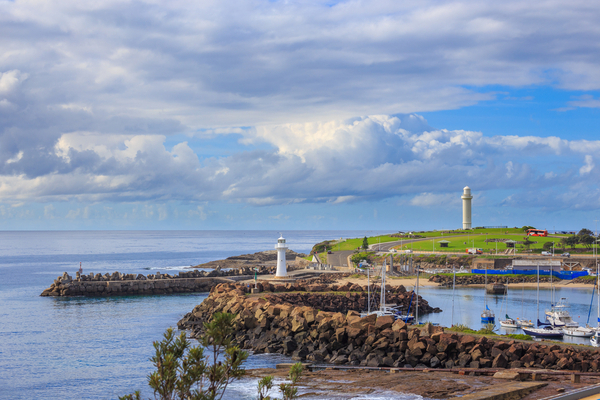 Wollongong is home to a throng of quintessential Australian beaches, which is why it deserves a spot on any Things To Do in Sydney list. There are fewer tourists, plenty of local ‘fish and chips’ shops, a great drive through the Royal National Park, and no reality television shows to corrupt the experience. For busier beaches, try either side of Wollongong, but for the real thing, try the more Northern beaches of Thirroul, Coledale and Austinmer. Sydney, New South Wales, Australia. June 2018. The Paddington markets in Sydney. On Saturday the church grounds in Oxford Street become a market area. Paddington is idyllically placed between Sydney’s city, harbor, and beaches. 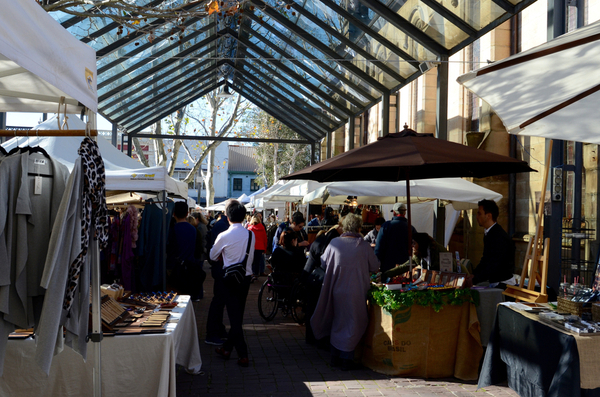 It’s home to many quaint corner pubs and restaurants, but more importantly, the Paddington Markets. This is where liberal locals and enterprising itinerants come to sell their quirky wares. But more than that, it represents a great cross-section of Sydneysiders and a chance to mix with them on a hot summer Saturday morning (from 10 am). The Hunter Valley is north of Sydney and home to various wineries and fromageries. Take one of many small bus tours to enjoy the region’s best wines, cheeses, and lunches. A full-day tour to a handful of boutique properties costs $80-150, depending on the inclusions and size of the group. 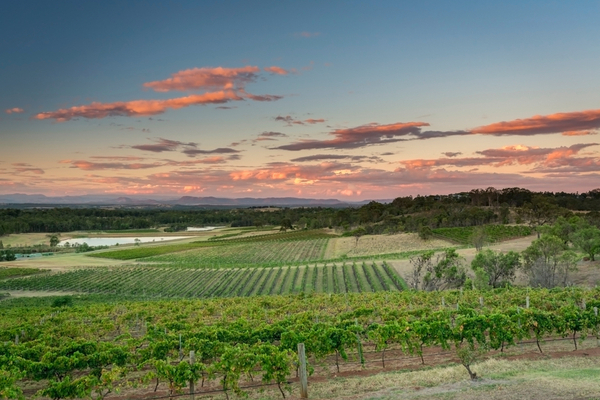 The beauty of the Hunter Valley is that it gives tourists-in-a-rush a small taste of agricultural life in Australia. This makes it one of the more culturally authentic things to do in Sydney. Dargan Springs is an eco-lodge in the Blue Mountains, just west of Sydney. It is one of the most tranquil places on Earth, but also a place of unrivaled adventure. Visitors can relax in the over-sized tree-house reading their favorite book, they can visit the spa for a private treatment, or they can take to the bush for rock climbing, abseiling and canyoning. The food is hearty and healthy, the water is fresh from a nearby spring, and the atmosphere is conducive to great conversation with your fellow lodge-mates. For other unique things to do in Sydney, check out the local sports (Cricket, Rugby, etc. ), visit a microbrewery (for real Australian beer), or head to the outback to see a completely different side of Australia. And feel free to contact us for specific recommendations.